On September 11, 2015, the Ninth Circuit, in Resilient Floor Covering Pension Trust Fund Board of Trustees v. Michael’s Floor Covering, Inc., Case No. 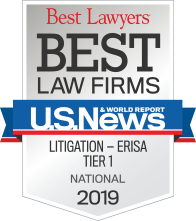 12-17675, 2015 WL 5295091, joined the Seventh Circuit in holding that an employer may be subject to withdrawal liability as a successor under the Multiemployer Pension Plan Amendments Act (“MPPAA”), amendments to the Employee Retirement Income Security Act of 1974 (“ERISA”). In light of this ruling, asset purchasers should be careful of any future acquisitions because they may be responsible for the seller’s withdrawal liability under the “successorship doctrine,” a common law doctrine that provides an exception to the general rule that a purchaser of assets does not acquire a seller’s liabilities. The predecessor employer, Studer’s Floor Covering, Inc. (“Studer’s”), was in the construction industry, selling and installing floor products to commercial and residential customers. At the end of 2009, the president and chairman of Studer’s, Scott Studer, told his sales staff that Studer’s would close at the end of the year. Michael Haasl, a salesman at Studer’s for over 19 years, informed Studer that he planned to bid for projects for his new flooring sales and installation company, Michael’s Floor Covering, LLC (“Michael’s”). The day after Studer’s closed, January 1, 2010, Haasl opened Michael’s in the same location as Studer’s. He purchased signs for Michael’s that were very similar to those of Studer’s and took over Studer’s business telephone numbers. Michael’s also hired five former Studer’s employees and purchased approximately 30% of Studer’s’ tools, equipment, and inventory at a publicly advertised liquidation sale. However, Studer’s did not provide or sell Michael’s its customers’ information. Instead, Michael’s developed its business through the business relationships Haasl established during his time as a Studer’s salesman. Prior to its dissolution, Studer’s was a party to a collective bargaining agreement (“CBA”) with the Linoleum, Carpet and Soft Tile Applicators Local Union No. 1236. Pursuant to this CBA, Studer’s made regular pension contributions to the Resilient Floor Covering Pension Trust Fund (“the Fund”). The Fund is a multiemployer defined benefit pension plan subject to the MPPAA, which provides that an employer withdrawing from a multiemployer pension plan is liable to the plan for withdrawal liability. However, there is an exception to this general rule for construction companies that close and do not resume operations within the jurisdiction of the CBA for at least five years. When Studer’s ceased operations in 2009, it stopped making contributions to the Fund. Because Michael’s was not a party to the CBA, it did not make any contributions to the Fund. The Fund and its Board of Trustees brought a lawsuit in the Northern District of California against Michael’s claiming that it was a successor to Studer’s and, therefore, responsible for Studer’s withdrawal liability in the amount of $2,291,014 or, in the alternative, unpaid contributions. The district court disagreed. In reaching its decision, the district court looked to the common law successorship doctrine and applied the multi-factor successorship test set forth in NLRB v. Jeffries Lithograph Co. (“Jeffries”), 752 F.2d 459 (9th Cir. 1985). According to Jeffries, a court must consider the following factors in determining successorship: whether there is continuity in the workforce, whether the same jobs exist under the same working conditions, whether the same supervisors were employed, whether the same service is offered, whether there was a substantial continuity of the business, and whether the same machinery, equipment, and methods of production are used. Despite the fact that Michael’s used the same plant as Studer’s and that many of Studer’s customers became Michael’s customers, the district court concluded that Michael’s was not “essentially the same as Studer’s” because other factors weighed against successorship (e.g., there was no continuity of the workforce because Michael’s did not employ a substantial portion of Studer’s employees) or were neutral (e.g., whether the same machinery, equipment, and methods of production are used, and whether the same service is offered). On appeal, the Ninth Circuit reversed the district court’s decision. It held that a successor employer could be subject to MPPAA withdrawal liability, so long as the successor took over the business with notice of the liability. The Ninth Circuit also held that the most important factor in determining if an employer is a successor for purposes of withdrawal liability is whether there is substantial continuity in the business operations between the predecessor and successor companies. 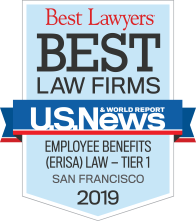 The Ninth Circuit stated that although it had not previously determined whether an employer could be subject to MPPAA withdrawal liability under the successorship doctrine, it has applied this doctrine in cases involving delinquent ERISA contributions. The court explained that it had imposed liability for the seller’s delinquent ERISA contributions on the purchaser because “[a]bsent the imposition of successor liability, present and future employer participants in the union pension plan will bear the burden of [the predecessor’s] failure to pay its share,” which would threaten the health of the plan while the purchaser reaps a windfall. Resilient Floor Covering Pension Trust Fund Bd. of Trustees, 2015 WL 5295091 at *10. The court reasoned that this rationale applies with equal, if not greater, force in the withdrawal liability context. One of ERISA’s purposes is “to ensure that employees and their beneficiaries [a]re not . . . deprived of anticipated retirement benefits by the termination of pension plans before sufficient funds have been accumulated in the plans.” Id. The MPPAA carries out this purpose by assessing proportional liability on the withdrawing employer. The court explained that while a plan’s funding remains relatively constant when a contributing construction employer stops doing business at the time it withdraws from a plan, the same cannot be said for a non-union employer that continues doing the same work. This non-union employer obtains the benefit of doing the work of the previous unionized employer but does not contribute to the plan. Therefore, imposing successor liability on an employer that continues the business of its predecessor is necessary to protect the “viability of pension funds in the face of a shrinking contribution base.” Id. at *11. In reversing the district court’s decision, the Ninth Circuit disagreed with the district court’s holding that “continuity of workforce” was the most important factor in determining whether an employer was a successor responsible for the predecessor’s withdrawal liability. Instead, the Ninth Circuit held that the most important factor is whether there is “substantial continuity in the business operations between the predecessor and the successor, as determined in large part by whether the new employer has taken over the economically critical bulk of the prior employer’s customer base.” Id. at *1. The Ninth Circuit noted that certain other factors, such as whether “the new employer uses the same plant” and whether “the same product is manufactured or the same service is offered,” may also be relevant in determining whether the successor has actively and successfully captured the predecessor’s market share. Id. at *13. Ultimately, the more the successor models itself after the predecessor — such as Michael’s taking over Studer’s location and phone numbers and making signs that looked almost identical to Studer’s (both spelled out the company’s name in the same size and color font on a white background) — the more likely a court will find that the successor effectively captured the predecessor’s market share. The Ninth Circuit explained that although the composition of the workforce is important in successorship cases involving the duty to bargain under the National Labor Relations Act (“NLRA”), that factor is not of special relevance when considering MPPAA withdrawal liability. In the NLRA context, a change in ownership is unlikely to change the employees’ attitude towards union representation and, therefore, it is fair to require the successor employer to bargain with the incumbent union if it hires a majority of the predecessor’s employees. The purpose of the MPPAA is to protect a plan’s funding, which is based on the amount of work available in a certain area. Therefore, the focus for determining if an employer is a successor liable for the predecessor’s withdrawal liability is whether this new employer has captured the predecessor’s market share. Accordingly, the Ninth Circuit reversed the district court’s decision and remanded the case back to the district court for further consideration on the successorship question. The Ninth Circuit’s decision has important implications for entities or individuals interested in purchasing assets from another company. Potential purchasers of assets should keep in mind that the successorship doctrine may be used to impose withdrawal liability that could be extremely costly for their new business. As seen in this case, Michael’s may eventually be liable for over $2 million in withdrawal liability. Purchasers should carefully examine the target company’s potential withdrawal liability, especially if they are purchasing parts of a liquidated business or in other circumstances in which there is a high likelihood that they will be acquiring the predecessor’s customer base. If potential withdrawal liability exists, the employer should consider structuring the transactions to account for this liability — for instance, through indemnification or adjustment of the purchase price, or through ERISA’s special provision exempting certain asset sales from withdrawal liability. Ultimately, purchasers should carefully examine the target company’s liabilities and understand potential pension obligations before entering into a purchase and sale agreement.